Many college freshmen are tasked with having to adjust to the pacing of their new courses, but athletes are also trying to figure it out in-between practice and games. From training, to classes and back to practice. Wake up and repeat that twice. 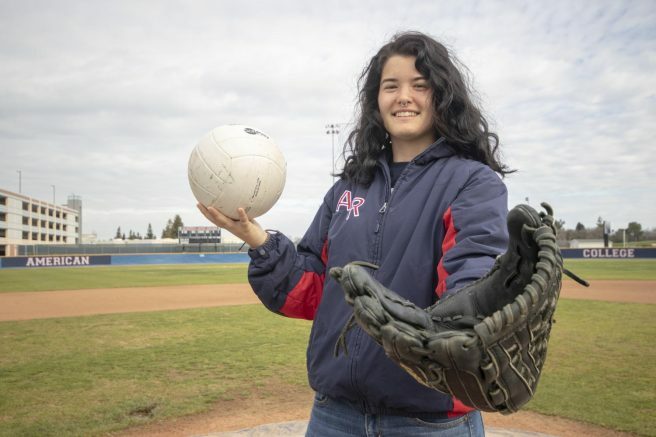 That was the reality for 18-year-old American River College freshman, women’s volleyball and softball player Rachel Harvell. Playing two sports wasn’t Harvell’s intention, but she says that after going and seeing the program first-hand and watching how the coaches focused on individual positions and on the players, she thought it would be a good match. For Harvell, the hardest part about the entire process was getting her footing in the beginning, when she began to take on both sports. “It’s fun [playing both sports], definitely two different worlds, but the girls are great,” Harvell said. Learning to adjust to not only one practice schedule and classes, but two, was difficult for Harvell, though she says it became easier because she felt as though she had found a support system that was always behind her with her teammates. Even through Harvell has support systems with her team, she said that at times finding the right balance between everything still had its challenges. “I really enjoyed [playing both sports], it was a little exhausting but definitely worth it. Both teams were great and very welcoming but it was a little tough at times when I would go back to back from one practice to another,” Harvell said. While constantly jumping from practice to practice, Harvell said that she was always busy and to make sure that she had a plan and was able to keep everything in line, she found herself scheduling everything. 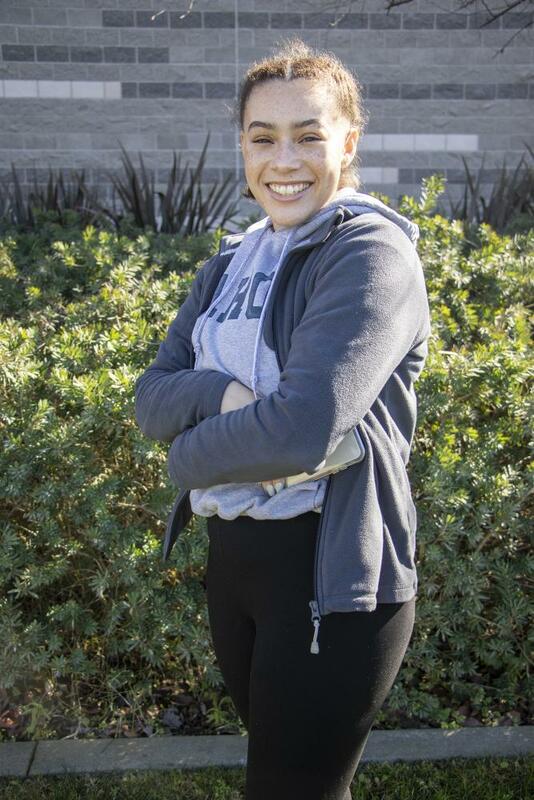 “I think my calendar probably helped me the the most so I could stay on track with school and other activities,” Harvell said. When it came down to it, Harvell says she had to find a way to create some balance between everything that she was pursuing, from sports to school. Even if she was able to find herself a way to ease her stress in the slightest, in this case writing and scheduling everything, she said she was going to take it. “There are definitely times where I felt overwhelmed doing both practices, [it] was exhausting at times,” Harvell said. All of her hard work hasn’t gone unnoticed, Harvell’s softball teammate, Jennifer Bartholdi, who has watched her transition from travel softball to a collegiate athlete, has watched her take the challenge and face it head-on. Bartholdi says though this experience she has been able to see Harvell become a better athlete and has watched her passion for the sports grow. Mariah Lewis, a teammate and friend of Harvell, says that since they have graduated high school she has seen Harvell become a more driven and focused version of herself. Harvell says that, overall, her plans after ARC are still undecided. Harvell says she’s planning on a double major in psychology and sociology, but hasn’t decided where she plans on transferring. Harvell said that in regards to playing sports after ARC that she hasn’t fully ruled out the possibility of continuing to play softball when she transfers, but right now her focus is on the near future. “I am planning on playing both sports next year but only time will tell if it works out that way,” Harvell said. Be the first to comment on "Multi-sport athlete balances life at ARC"